I know if you use your imagination you can see it. Right there. Between the trees. It’s probably the last glimpse of Mt. Hood I will have from my window at work until the leaves are gone again in autumn. Today is too overcast and hazy for Hood to show up at all. And by next week the trees will have leafed out and blocked the view. Crappy picture courtesy of my cell phone. Yes, I’ve been knitting. I’ve been working on the Alina socks. I’ve turned the heels and started up the ankles. The colors pooled in interesting stripes on the foot. I can’t tell yet what they will do on the ankle. The stitch pattern is different, so the colors will not look like the foot. Interestingly enough, the socks remained identical twins until just before the heels, when they suddenly became fraternal. I have no explanation for this. I haven’t decided what to do with the cashmere silk scarf yet. 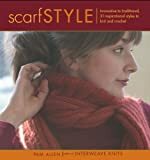 I’m leaning towards a modification of Backyard Leaves by Annie Modesitt in Scarf Style. But I haven’t really made up my mind yet. I probably need to do some more swatching, although that didn’t help last time. Thank you to those who have commented and made suggestions.